Apparently uncertainty regarding the pronunciation of the large word above in boldface is rampant. Allow me to break it down phonetically- Chip. Ote. Lay. Notice how the "T" appears before the "L". A lot of people are under the impression that it is pronounced "Chip-OL-Tay". Had this been the intent of this restaurant chain, my guess is that the company would have placed the "L" before the "T", much like how if you wanted your name to be pronounced as "Frank" you probably wouldn't spell it as "Dave". Letters and their order, actually do affect the pronunciation. Furthermore, please note that this word is not one of those wonky exceptions where letter sequencing should be tinkered with. The only conceivable instances of word order not mattering are words (most of them French in derivation) like 'Centre', 'Theatre', or 'Favre'. The 'T followed by L' shouldn't scare native English speakers- most of us have a proven track record of this phoneme. Words like "Little", "Bottle", and "Motley" are never mispronounced as, "Lil-tay", "Bol-tay" and "Mol-tay". Update: For further reading on this gripping subject, check this out. Apparently I wrote on this topic in July. I don't remember doing it, but it sounds like something I'd do. 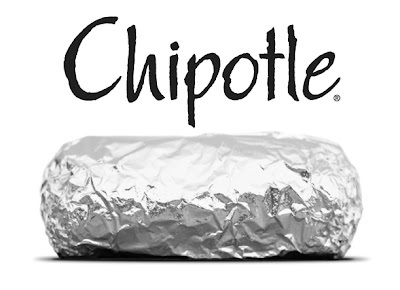 The word "Chipotle" is in fact pronounced "Chip-ot-lay". The "T" comes before the "L". There is a groundswell of support for pronouncing it, "Chip-ol-tay". That is not correct. The succession of letters "-otl" is not pronounced "olt", in spite of popular belief.